Get 70% Off on O2 Spa!! Get 70% Off on O2 Spa. Exclusive with Littleapp. Fantastic Deals Around You. 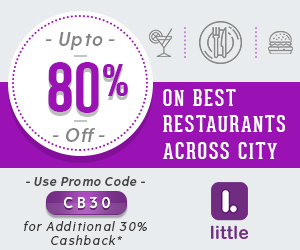 Little App helps you discover great places to eat around or de-stress in all major cities across 20000+ merchants. Explore restaurants, spa & salons and activities to find your next fantastic deal.